An individual who believes he or she has extrasensory abilities that allow him or her to recognize and interpret mystical forces is known as a psychic medium. A few professionals have the belief that everyone has psychic powers embedded in them. At times they refer to this as a “sixth sense”. During a session, a psychic medium examines your aura in order to clarify what is going on in your life. They can also tell you what might happen in the future. Most people claim to have paranormal abilities but not all of them can give a correct psychic reading. Below is some information that can assist you in avoiding fraud psychics and maybe help you locate one which you are comfortable with. Some sites such as Weeklyuniverse.com claim that individuals who are not psychic are hired to help out clients over the phone rather than in person. Obviously, you have seen an advert or two in newspapers, magazines or even the television that tries to lure you to call a certain number in order to find out what is in store for you. Jobless people such as students or even housewives normally fill these roles because they need part-time income. Organizations that hire these people are usually aware that they do not possess any abilities. However, when they give out services, they tend to mess up. For instance, when they call a client, they have a habit of asking questions that are out of topic hence making the client hang up the telephone in disgust after just a few minutes. But they will not care because the client had already paid the company. When you want to acquire services of any psychic, make sure you do research on that company. Start by checking out its background. Looking at the criticisms it has received over time from watchdog organizations can also assist you. Additionally, the Better Business Bureau can also help. Psychic mediums who carry out their readings over the phone are sometimes frustrating because they have no idea what they are doing. Before scheduling to link up with a medium face to face you might want to check out a few things first. Does he or she reside in a comfortable neighborhood? If not, then you should ask yourself if they are really legitimate. Mediums should be able to boast a huge success rate whenever they deal with clients. This is because they will be able to retain their clients who in return can put in a good word for them to their friends and family. As a result, these psychics will be able to get a good income which they can use to rent out an office somewhere in a good neighborhood. Speak to the dead. If they can then sprits can channel through the medium whenever they feel like. Give a reading which is 100% accurate. Obviously, no one can predict the future because there are so many variables to look at. Connect you with your one true love. Normally you will it find difficult to report fraud psychics and get your money back because the psychic industry is not regulated. You should make it your objective to find out if a psychic is legitimate or not before spending money. Be very cautious of those mediums who ask many questions and give out unsatisfying answers. When you are emotional, do not seek services of a medium. Do this when you have a clear mind and have self-control cause if not the psychic will take advantage. Hence, you will end up spending money that you did not plan to spend. Do a background check on the psychic by looking at internet sources or by asking around. Compare various psychics qualifications to see which one you are comfortable with. Avoid those individuals who are “overselling” it. Make sure you are composed when you visit a psychic. Your facial expression or how you carry out yourself can tell a lot, especially to a false medium. You will think that they are helping you out but they are just describing your reactions. Do follow your guts during a reading. When you feel they are wrong, then just walk out. Do report unethical doings to Better Business Bureau. Do ask a friend to accompany you. 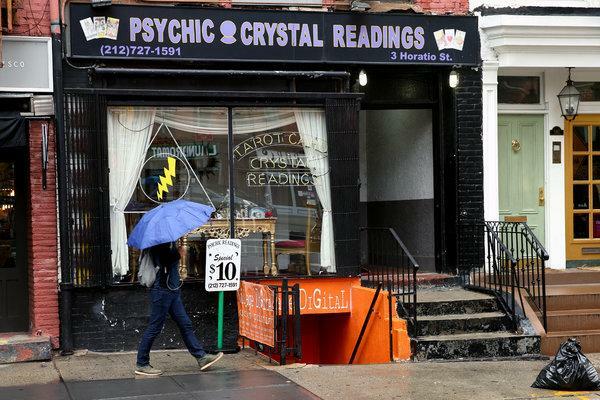 Do not pay an outrageous amount of money to a psychic. Dealing with a psychic can be fun and also mysterious at times. Make sure you have a clear mind and above all let them not mislead you that they have extrasensory abilities.